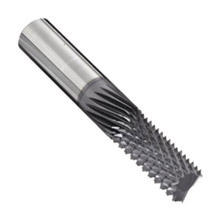 High speed steel (HSS), carbide tipped, solid carbide insert, solid carbide spiral, solid carbide compression, solid carbide roughing and diamond router bits. Brad point drills, thru bore bits, hinge boring bits, high speed steel (HSS) and carbide tipped multi spur bits, forstner bits, door lock bits and hole saws. Solid carbide inserts for router bits and cutter heads, both two and four sided as well as standard and custom profile inserts. Carbon steel and bi-metal band saws for woods, wood by products, plastics, solid surface, ferrous and non-ferrous metals. Tool holders, pull studs, collets and collet nuts for CNC routers. Custom and standard sized groovers. Carbide tipped, Tantung and solid carbide insert shaper cutters for doors, profiling and grooving. Custom router bits and shaper cutters made to your specifications. Most recently, Southern Saw Service has been selected to represent Elumatec’s complete line of table saws, mitre saws, double mitre saws, notching saws and CNC machining centers for the aluminum and vinyl industries. Our business was founded on customer service. Let the Southern Saw team work with you to determine the best tooling for your particular applications. Get in touch today for more information about our full catalogue of products as well as our sharpening services.